We are family owned diamond cutters and jewelry manufacturers specializing in high quality, laboratory certified diamonds. Since 1999, we have been using the Internet to offer our exceptional service and products online directly to the public at wholesale prices. 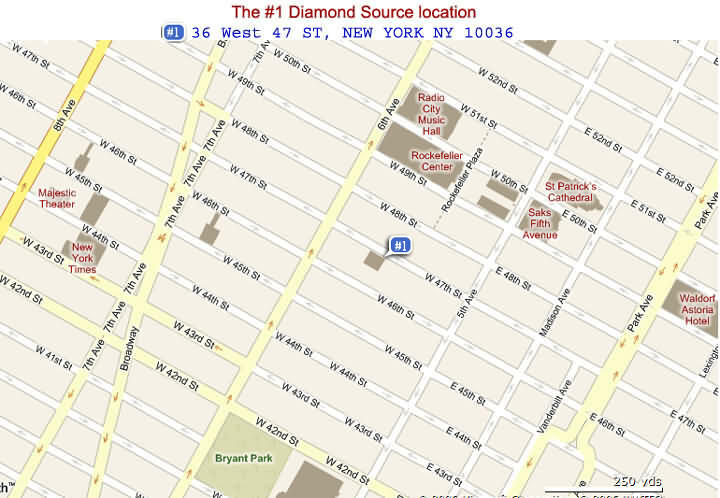 #1 Diamond Source is a member of the Better Business Bureau (A+ Rated), the Jewelers Vigilance Committee and a registered StopBloodDiamonds.org jeweler. To view recent reactions from our Internet clients, you can go to feedback-2017 . All our loose diamonds and those used in our diamond rings, earrings and jewelry are purchased from legitimate sources. We sell only non-conflict diamonds. Our loose diamonds are all independently certified by the Gemological Institute of America and come with the original GIA certificate. And, they are carefully examined and authenticated by our in-house GIA Gemologist and GIA Diamond Grading Graduate. We sell only pure, 100% natural diamonds; absolutely no clarity enhanced or treated stones. We also provide free insured FedEx shipping and a free comprehensive insurance appraisal upon request. stone selection and report to you. Extensive selection of Ideal and Excellent cut certified diamonds. You can rely on our trustworthy advice and personal caring service. In order to make the best diamond selection, you need to understand what you're buying. We suggest that you visit our online diamond education section where we offer simplified discussion on diamonds four Cs (cut, color, clarity, and carat weight) and important guidance. This guide will familiarize you with the criteria that jewelers use to grade and evaluate diamonds. Understanding the four Cs of diamonds will help you make the right diamond choice. For key guidelines to get the finest loose diamond at the best value while minimizing your risk you can refer to: Buying Loose Diamonds Online. "I have received the loose diamond and I am very pleased. It is exceptional!!!. I hope to do business with you again soon. Thanks again."